The Sparehand KC-12 Wall Mounted Single Kayak or SUP Storage Rack has a 75-pound maximum weight capacity and is a combination kayak and paddle storage solution for any style of kayak or SUP. 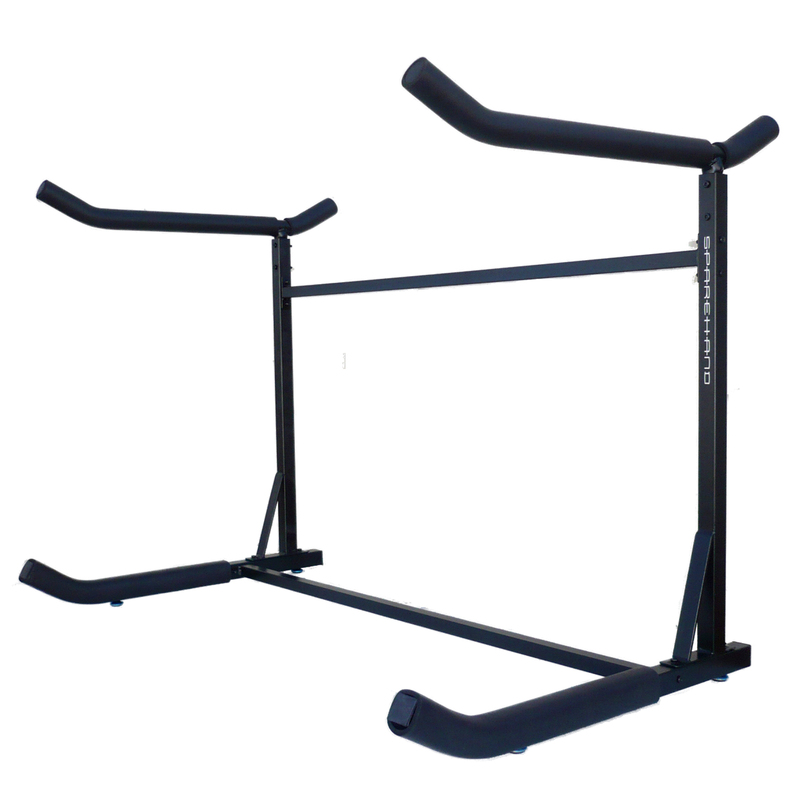 Constructed of 1-inch tubular steel with a black finish, this unit stores a single kayak, paddle board, surfboard or ladder off the ground and out of the way. The KC-12 is easy to assemble and installs anywhere that has wall studs or an anchor to cement block walls. This storage rack uses an exclusive multi-stage rust prevention process to keep rust from forming on the cradles. 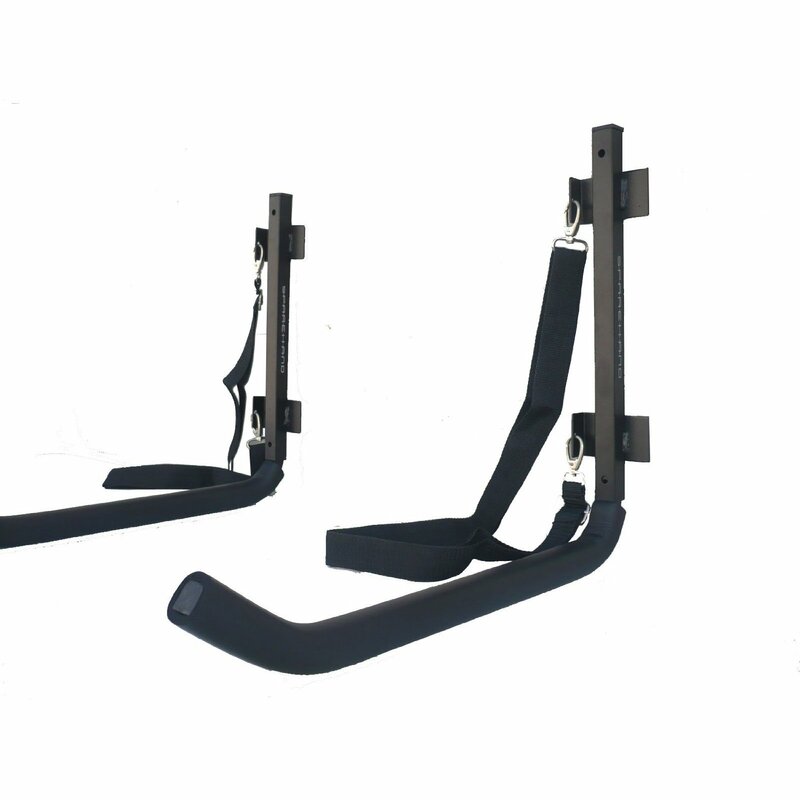 Each cradle arm is padded to protect and stabilize your kayak and folds away when not in use. 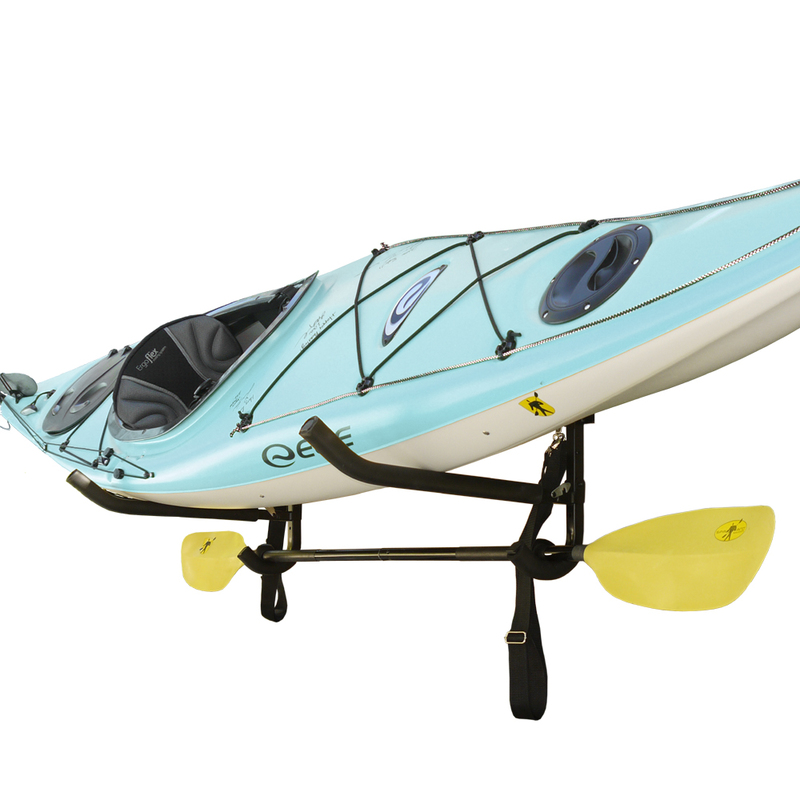 The heavy-duty rack fit a kayak with a length up to 20-feet and a hull size up to 36-inches wide and 18-inches deep. Sparehand’s unique and accessible design saves space, while making it easy for you to grab and store kayaks and SUPs. This unit is quick to assemble and has a built-in paddle rack for paddles or other accessories. The KC-12 measures 28-inches by 24-inches by 2.5-inches and weighs 8-pounds. The Sparehand KC-12 Wall Mounted Single Kayak or SUP Storage Rack comes with a 1-year limited manufacturer’s warranty to protect against defects in material and workmanship.